Design and Contract Administration of a new treatment plant together with a zero depth and splasher pool. Design and Contract Administration of a stormwater Storage Dam, Pumping Station and Evaporation Control Device. Design and Contract Administration of 120 lot Residential and Commercial Subdivision. Delivering on time and budget through all project stages, from approvals to design, documentation, tendering and contract administration. Design and documentation for various projects from subdivisions to the construction of stormwater dams, and sporting and community facilities. 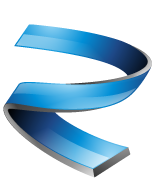 River Engineering were formed in 2010 with their office located in North Fremantle. As a boutique consultancy River provide excellent service and knowledge to their clients in Local and State Government as well as the Private Sector. "The Team at River Engineering have been proactive and hands on through the entirety of the development process this leading to a seamless development process." "Firm contractual knowledge assisting in the delivery of quality developments"
"Their site knowledge and organisational skills ensured that we had direction and purpose onsite on a technically difficult project." "We had clear and prompt input from River which enabled us to complete the project on time." "Delivery and service has been great. Its not often we see a project achieve the targeted Budget and Practical Completion date."